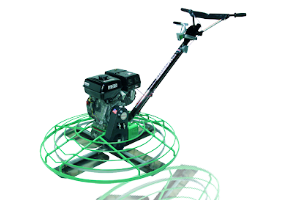 The SPE range of power trowels are available in both 36" and 46" petrol driven variations. All are anufactured from heavy gauge steel and jig welded to ensure complete rigidity, strength and long life. Gear boxes are constructed using high tensile steel containing heavy duty bronze and steel worm gears. A sight glass for checking the oil level ensures the contractor trouble free operation and high production rates.